If it is one thing I love to photograph, it is families! Each family I meet is unique. I love seeing the interactions between siblings, parents, etc. The Carrion family is so sweet natured. 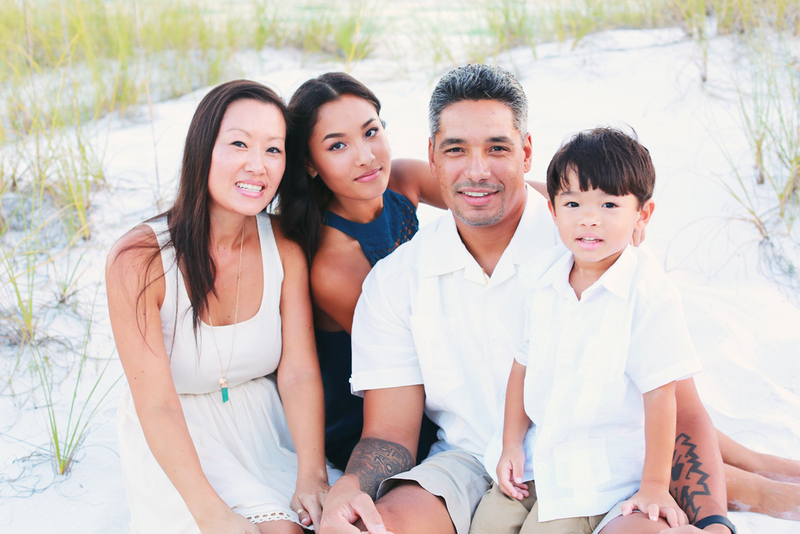 Mr. and Mrs. Carrion met in high school, married, and started a beautiful family with their first born, Alexia. Last Sunday, I took Alexia's senior photos. The entire family joined and we snapped a few off Scenic highway 98 in Destin, FL. A few years ago, CJ was born. He is a character! He loves his daddy very much and has the cutest little giggle! Here are a few images from their family session last week! Enjoy!